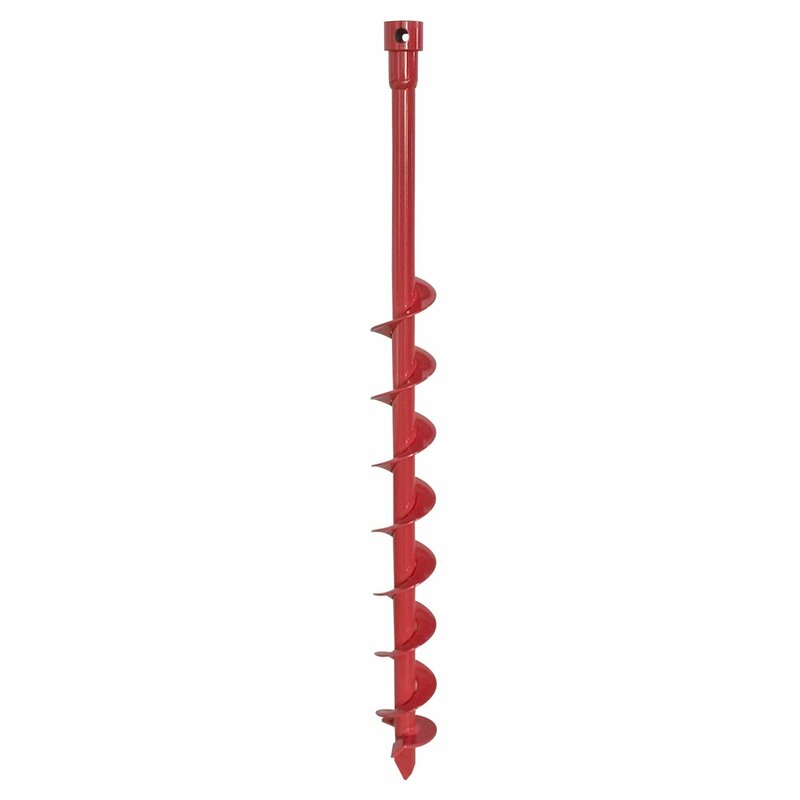 Droll Yankees' Ultimate Pole Auger features the easiest installation of any auger on the market and provides exceptional stability. 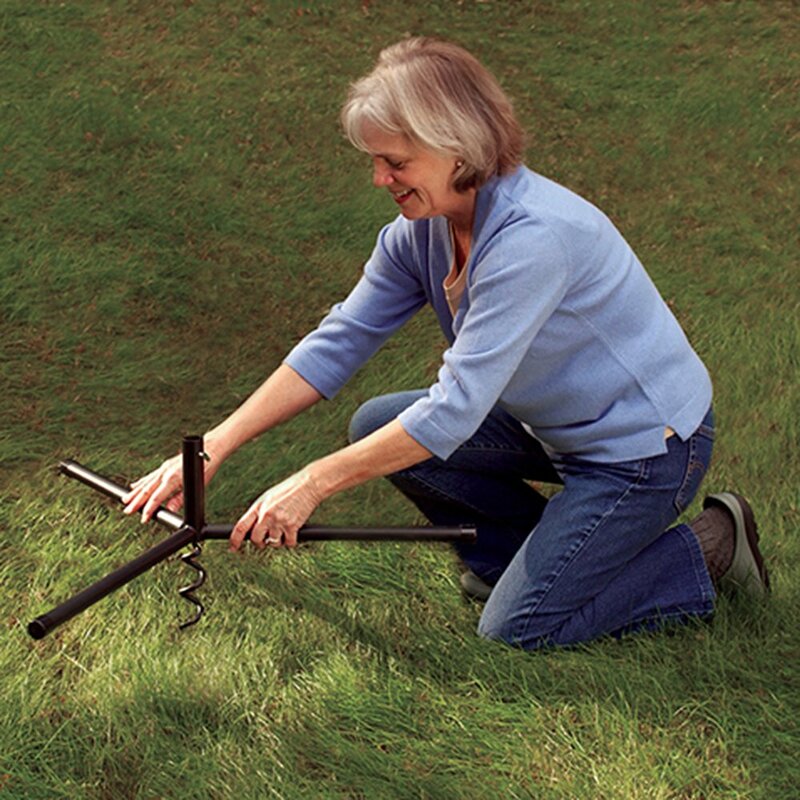 The easy to use, no tilt ground auger is arthritic hand friendly and can be installed in two minutes in all soil types! 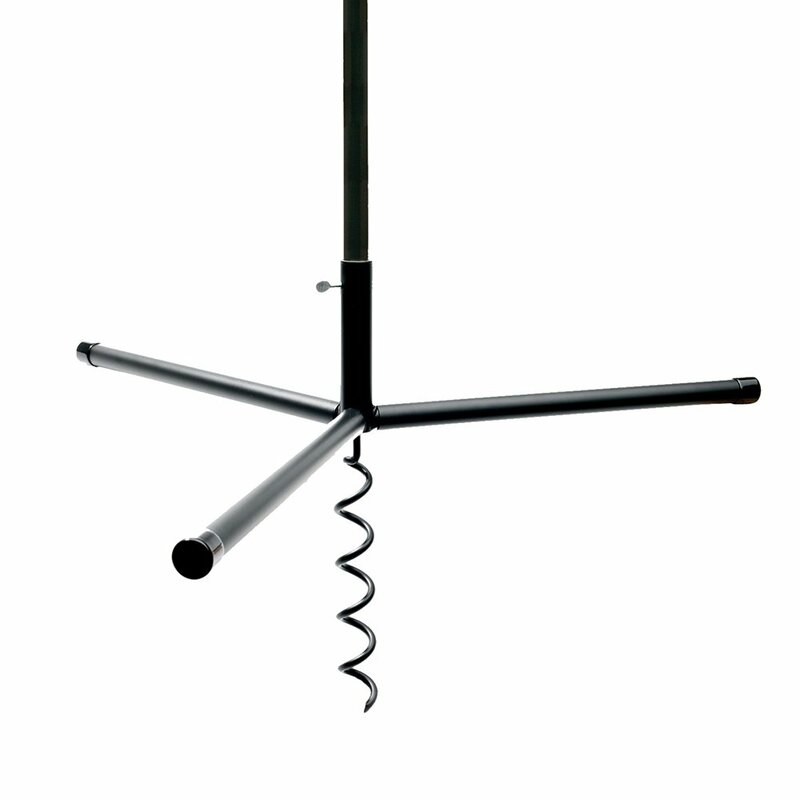 The auger is made of powder coated steel so it will look great and last a lifetime. Bought to support a galvanized pole to support a Droll Yankee feeder. This was fine. It filled up with rusty water. The pole wasn't quite straight, because you need to auger it in straight for that to happen. The end caps came off. On the other hand it was the base of a feeder pole, so it wasn't the focal point of my yard. The horizontal support bars come off for installation and deinstallation to make the augering easier. I recently removed that feeder, so I can attest that removing this from my landscape was easy. I think this was quite expensive but still bought couple of them as I've been looking for a solution like this to put a couple of posts in my backyard to hang lightbulbs during parties and there is nothing else like this out there. 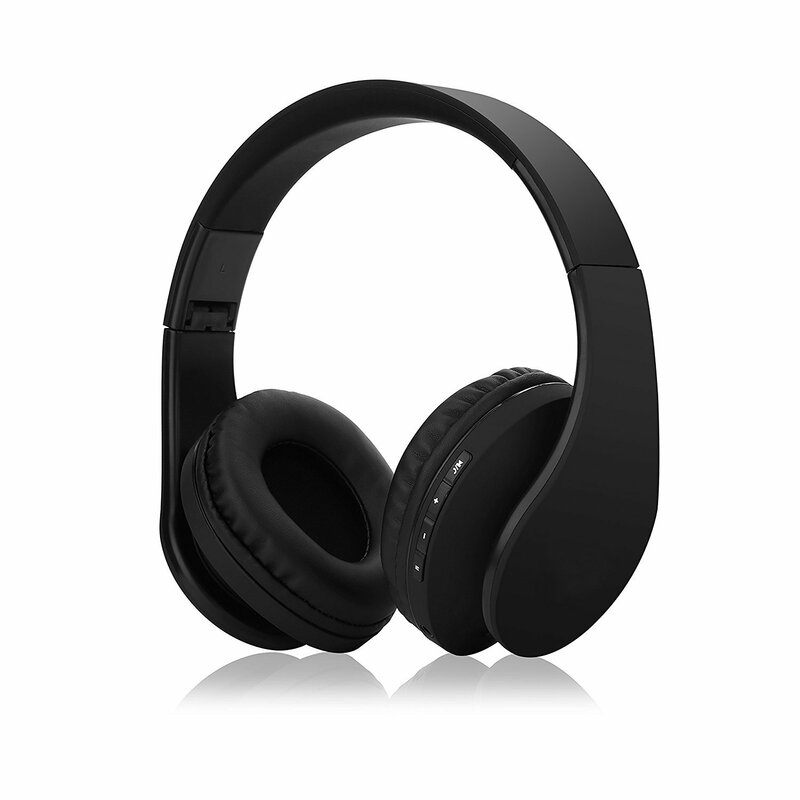 they look great, good quality and sturdy, inclusively over my expectations. I'm looking forward to use them for the first time, I will update my review in a year or so after using them for a few times, but I'm almost sure they will work great. 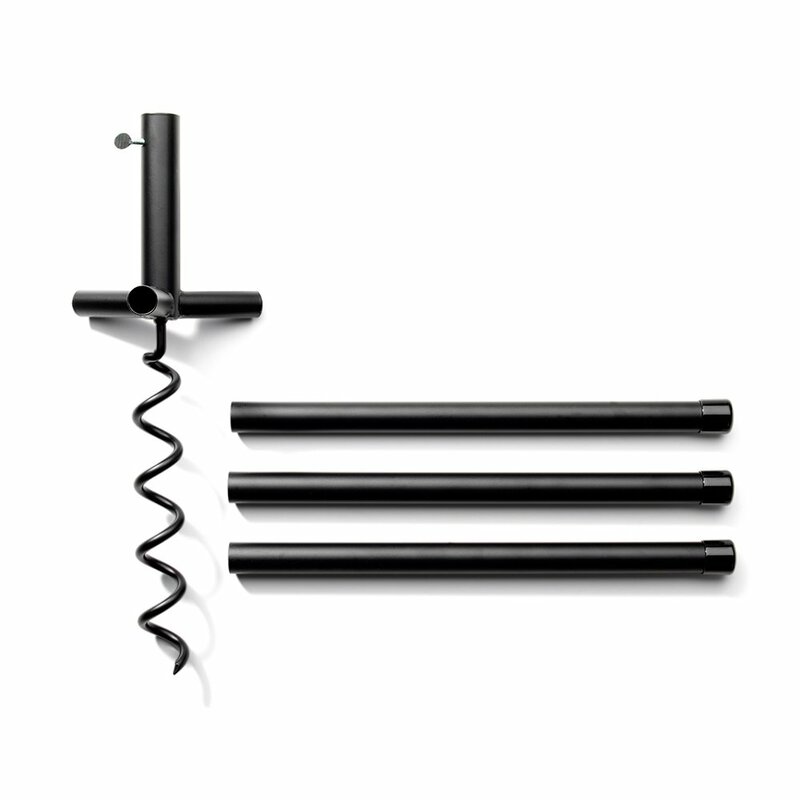 The three legs make it difficult to install on anything but level ground. As you turn the auger, the uphill leg hits the high point of the slope. Legs also make it difficult to mow under the bird feeder. It screws into the ground with ease and keeps my top-heavy feeder in place. I used to have to drive stakes in the ground to prop up the pole. Our backyard is a combination of poor soil carefully laid over ledge and this is the first thing that has kept everything upright. Easy to install, so far pretty sturdy. Have had some pretty good storms and no problem.